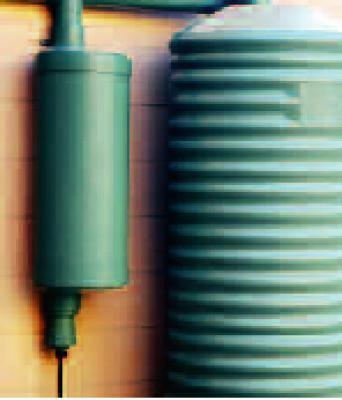 Prevents the first flush of rainwater, which may contain contaminants from the roof, from entering the tank. It can be mounted on a wall, post or stand, to hold larger volumes of water. It can be adapted to suit a wide range of applications and will manage single or multiple pipes coming from the roof to divert between 20 and 150L. The kit is easy to freight, and the diverter volume can be made on site to match exact requirements – just add the appropriate length of 300mm pipe. The kit includes a saddle and a galvanised steel wall mounting bracket. A galvanised steel stand is an optional alternative to post or wall mounting. ©2016 Zenith International Enterprise Ltd. All rights reserved.